Now this is useful to all of the Facebook early adopters and small businesses who have built up their business reputation by having lots of Facebook friends. Facebook pages are a recent addition to the Facebook marketing stable and some small businesses have been reluctant to jump to a page with the potential loss of friends / customers. 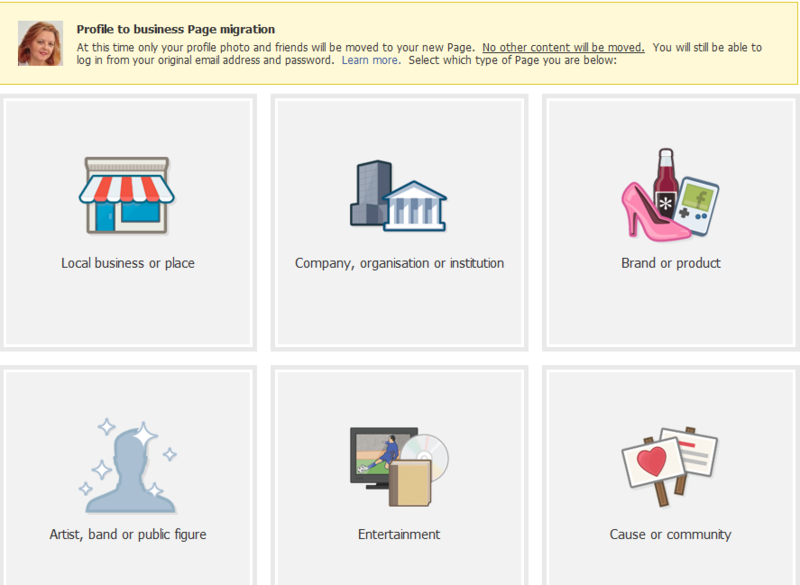 Facebook now have a Profile to Business page migration wizard. All your friends will convert into Fans who like your page. Your profile pictures will move across too and your login account becomes a business account which is the Administrator of the new page. These business accounts mean that you’ll now be able to run ad campaigns and track success of your campaigns. Pages are easy to administer, add new Admins and modify with Facebook Markup Language (FBML) to get a more dynamic looking site. This entry was posted in B2B, B2C, Facebook, Internet, Social Media and tagged Business Page, Facebook, profile conversion, Social Media on April 13, 2011 by eileenb.